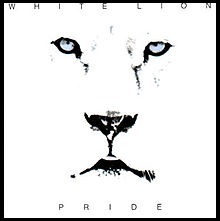 Twenty-five years ago, the band White Lion released their breakthrough album, Pride. A record that would feature two top ten hits, peak at #11 on the Billboard charts and sell more than two million copies in the US alone. Pride would become one of the best pop-metal albums of the 1980’s with Vito Bratta’s signature melodic guitar work and the heartfelt lyrics and vocals of Mike Tramp. From his days in White Lion and Freak of Nature right up to his most recent project, “Stand Your Ground” with Mike Tramp and The Rock ‘n’ Roll Circuz, the man who was the voice of a generation with hits like “Wait”, “Tell Me” and “When The Children Cry” continues to make great music. But one thing you may not know about Mike Tramp is that his musical roots lie heavily in folk. And this fall, Mike; accompanied only by his guitar, will celebrate those roots by embarking on a vagabond tour of Europe. Mike will be crossing the land performing hits from his catalog and along the way, telling stories that get to the core of his songwriting. With an arsenal of hits at his disposal and a passion for words, here’s hoping the journeyman brings his tour to the US in 2013. I was fortunate to catch up with Mike from his home in Denmark and get his thoughts on the milestone anniversary on the Pride album as well as his European tour, a glimpse into his next album and why he thinks the music industry should be run more like a hardware store. When someone mentions the Pride album, what’s the first thing that comes to your mind? To me, Pride represents the coming together of White Lion. It’s the band at its core and the purity of the band. It’s the only album where we are the “true” White Lion. The Pride album everyone is familiar with wasn’t the original version though. Yes. Back in 1986, shortly after the Fight To Survive album, we recorded a version of Pride over in Germany. But after coming back to America and giving it a listen, we weren’t satisfied. So, Vito and I started re-writing, and then went to LA to record it again. There’s almost no origin to that song. The story goes: Vito started playing the riff and the very first word out of my mouth was “Wait”. It’s one of the simplest lyrics I’ve ever written, but it’s also the perfect American, FM song. It’s right up there with Journey, Foreigner and all those other classic songs. “Wait” was just one of those songs that worked really well in the studio and for the video. Even though the words are simple, it has a very powerful lyric. Imagine being a kid from Copenhagen, Denmark sitting there in Staten Island and writing “No more presidents, and all the wars will end…” at the time when Ronald Reagan is the President. But, it was how I felt at the time. That song began by just sitting around and playing. Then Vito changed it to the finger picking style. Even the way I play it now is different; it sounds new to me. Another classic, radio friendly song. Those three songs together are what made Pride such a strong package and it just proves that the album is timeless. Those songs will live on forever. Your most recent album with The Rock ‘n’ Roll Circuz, “Stand Your Ground” (2011) is another great record. My sound is still very much “Americanized”, but there’s no mystery to it; it’s just rock and roll! The chorus to the song “Straight From The Look in Your Eyes” is one of those ones that give you chills when you listen to it. I think years ago, that song would have been a massive hit in the States. But now, the music business is more of a bureaucracy. It’s like trying to get an application through fifty offices. The reality is, the music business should be a little bit more like a Home Depot. When you come through the door there’s “plumbing” to the right and “gardening” to the far left and you separate those things. You can have different departments with different things in them. The problem is, when you start having one thing that comes in that completely replaces something else, that’s when everything goes wrong. Tell me a little about your upcoming record. The new album was one of those things that I actually hadn’t planned. I had just gone into the studio with the guitar engineer from “Stand Your Ground” and we would up recording an entire album. The songs are very much departed from what most people know me from. But to me, these are my roots. In White Lion, some of the songs came from Vito’s world and others came from mine. I come from the (Bob) Dylan world. I grew up heavily influenced by folk music and that way of playing guitar. I use high gauge strings because I like to play big chords. I’ve never evolved out from that. I live in the first three frets. My songs all start from there. That’s where I lay the foundation and the main guitar will then come in later and fill it out. Do you have a release date for the new record? Not yet. When the time is right, I will announce it. You’re also about to embark on a new tour. Yes. I’m going out and touring Europe completely solo. Just me and my acoustic guitar playing more White Lion and more Freak of Nature songs than I’ve ever done before. It’s brought back to my world. But it’s not going to be a guitar exhibition; it’s a singer-songwriter show where I’ll be playing these songs a little differently and talking more about the essence of the core song. I like people to get deeper into the music. Are you nervous at all about going out alone? Not at all. I love the fact that I can do anything I want. It’s just going to be me and a few acoustic guitars and it’s actually where I feel the most at home. The further down on the ground I can get, the better.